According to an article in The Times of India, Community Medicine is the sexiest profession of the 21st century. Addressing health promotion and disease prevention from a personal and community level it touches hundreds of souls at a time. The public health education and prevention approach of Community Medicine has the potential to improve the health and quality of life for millions of people. Media messages about health can be overwhelming and confusing, and this is especially true for complementary and alternative medicine. Learn to make sense of alternative medicine and what it can do for you. SPECIAL NOTE: The topics presented in these lectures on Community Medicine will be presented in November at Harvard Medical School’s, Osher Institute on Integrative Medicine. According to a recent study funded by the National Institute on Aging, 65 percent (a higher percentage than any other group) of older adults said they used some form of alternative medicine they considered either curative or preventive. The most influential factor in the decision to use alternative health care is that people find that it works. Because of an ever-increasing body of scientific evidence, even health care professionals themselves are using alternatives in addition to western medicine. Over 10,000 Western doctors are now trained to use acupuncture, simply because it is safe and it works! According to research in the journal Health Services Research, 76 percent of health care workers, including doctors and nurses, reported using practitioner-based alternative medicine for their own health care. This class will explore the current state of the scientific evidence as well as demonstrate a practical, scientific approach to evaluating the evidence on a variety of alternative treatments. Figure out for yourself what works and what doesn’t, and safely use alternative medicine in your own life. Taking a more holistic approach to health and well-being, Community Medicine is the branch of medicine that addresses prevention, health promotion, restoration and rehabilitation in the community. Addressing the mind, body and human spirit, community medical approaches have the potential to reach hundreds of souls at a time. Utilizing resources and practitioners throughout the community, it happens in the clinic, through research, through public education and online. Learn about the eight pillars of Community Medicine that promise to revolutionize the way medicine is practiced in the future. Get a comprehensive overview of where medical science is headed in the next century in this exploration of holistic medicine and its place in the modern world. Quality health education programs have the potential to improve the health and quality of life for millions of people. Media messages about health can be overwhelming and confusing. Create a health promotion program of your own using natural treatments that are both clinically proven and easily available. Become an active participant in your own health and healing. Develop your own personalized health and healing program. Learn exercises and self-help techniques from around the world to help alleviate chronic aches and pains and release stress, feel better about yourself, improve your balance, feel more energy, sleep better. Become a partner with your doctor and develop an individualized program to help prevent or manage many of the most common chronic health conditions and know when it is time to seek help with those things you cannot prevent. 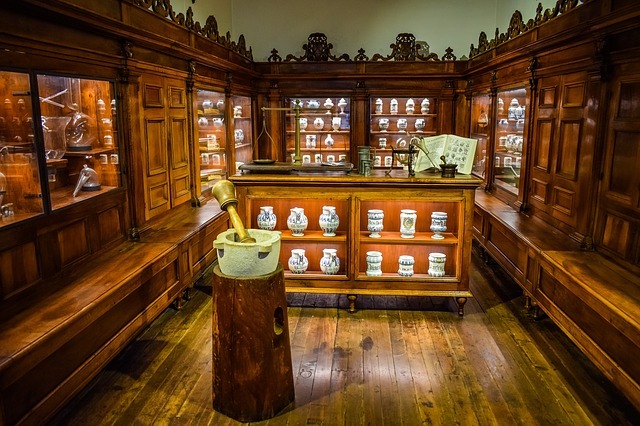 Take a journey through 5,000 years of traditional Chinese medicine while learning about the history, theories and clinical applications of the world’s most widely used form of traditional medicine. A comprehensive exploration of traditional Chinese medicine, this session will focus on the roots of this ancient medicine as well as the evidence base for its potential in modern clinical settings. Along the way, we will discuss the phenomenon of Qi that governs traditional Chinese medicine and the nature and characteristics of the various treatment modalities used in the modern clinic. We will also explore the history of traditional Chinese medicine and look at where future research may lead. You’ll come away with a stronger sense of traditional Chinese medicine and what it can do for you. Joseph Brady is a national, board-certified practitioner of Oriental Medicine and an internationally recognized expert on healthy aging. Joe has spent over 20 years teaching at the University of Colorado Health Sciences Center, the University of Denver Institute of Gerontology, and Metropolitan State University, A former columnist on healthy aging for the Rocky Mountain News, Joe has presented at many scientific and medical conferences and has lectured at the Oxford Union Debating hall and Harris Manchester College at the University of Oxford, U.K. Joe currently runs his own clinic in the Denver area and teaches at the Colorado School of Traditional Chinese Medicine.